Google Maps offers far more than a road map with a scale and a legend. Suppose you visit google.com/maps and type in "New York, New York". Google Maps has become a hub of information on any destination! You will be able to explore New York through the traditional, illustrated street map, or you can flip over to "satellite" mode and see satellite images of parks, jetties, bridges and city sidewalks. Curious about the terrain? Google shares a representation of that too! You can even check the traffic, flip through photos, videos, Wikipedia entries, and webcams of the locations. Google will also notifty you of some "must-see" stops in New York. Don't miss the Met! They sure have thought of it all. 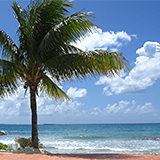 Google Maps offers the best Anguilla map available today! Of course, the Anguilla map that you can pick up at the land and survey office will always be my personal favorite Anguilla map. It is not only great for exploring, but it makes a wonderful souvenir. I have seen it in many homes, laminated and displayed proudly above a mantel! Other than the land and survey map, most Anguilla maps you find online (and printed on vacation) are either outdated, cluttered with ads, or too vague. The map of Anguilla I created a few years back still works well, but being a .pdf it may not be the most up to date in the years to come. The most up to date, ad-free, detailed Anguilla map I have found to date is a Google Map. 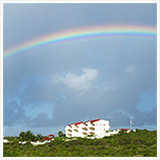 Click here for the most up to date Anguilla map in my books! I would zoom in and out, finding the best scale and then print it to .pdf and bring it along on vacation! You definitely won't find a more detailed, up to date map online or on vacation.